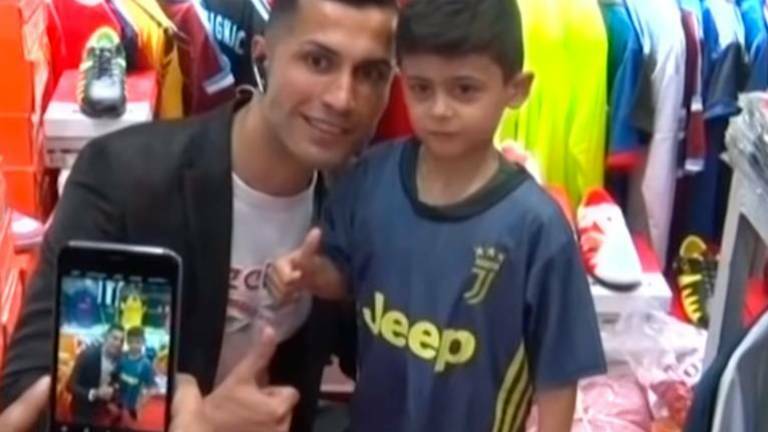 10 Apr 2019 / 10:24 H.
Biwar Abdullah, basking in the limelight, poses with a kid donned in Juventus jersey in a shop selling replica shirt of football teams. AN amateur soccer player in northern Iraq enjoys the attention of a celebrity, thanks to his resemblance to Portugal captain Cristiano Ronaldo. However unlike the Juventus star, 25-year-old Biwar Abdullah does not play for a top club in Europe, instead he earns his living working in construction. “A lot of people tell me that I look like Cristiano, apart from whether I’m an Arab, Kurdish or foreigner, the important thing is that I meet him one day,“ Abdullah said while joining other young men for a soccer game in a mountainous area. Abdullah comes from a poor family in Soran, a city 110km away from Erbil, near the Iraq-Iran border. His father is a retired fighter from the Peshmerga Kurdish forces. Abdullah had to give up on full-time education at the age of seven because of the economic hardships faced by his family. He is a popular figure in the area, often stopping to pose for selfies with people in the streets. 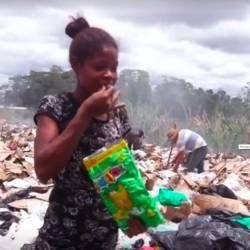 “Biwar has a lot of fans, and we are very happy for that. People love him much, especially residents of Soran,“ said Rizyar Najad, an employee at a local sports equipment shop, where Abdullah often goes to buy his sportswear.